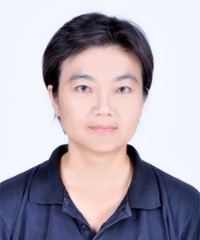 Shin-yi Chao holds a PhD in Asian studies from the University of British Columbia and MA degrees from UCLA and National Tsing Hua University (Taiwan). Her first book is Daoist Ritual, State Religion, and Popular Practices: Zhenwu Worship from Song to Ming (960–1644), (London and New York: Routledge, 2011). It examines a Chinese god and his worship in relation to the development of Chinese religion in general, and Daoist in particular. She has also published articles on spirit mediums in Taiwan, religious Daoist institutions and female monastics. She is currently working on two projects: one is religious revival in north rural China and the other is religion and identity in Taiwan. Her research adopt interdisciplinary approach combining a study of texts with an ethnographic observation about the interaction of the various participants, including religious professionals (priests), religious practitioners, and political authorities. She thus combines intellectual, social, and cultural history. At University of Rochester, she teaches courses on Chinese religions, new religious movements, and death, dying and beyond.